If you’ve ever showered at my place – you’ve probably realized quickly I use a lot of St. Ives® Invigorating Apricot Scrub. It was seriously years ago that my Mema introduced me to this amazing product. At the time of introduction, I used the product mostly for my face. Years later – I discovered wise tales informing me that the rough scrub is too harsh for sensitive areas like your face. True or false… It’s still an all time favorite product, and I’ll probably continue using it forever. Today, I use this #1 scrub for just about everything – bathing, exfoliating, even shaving! Yep, I said shaving. 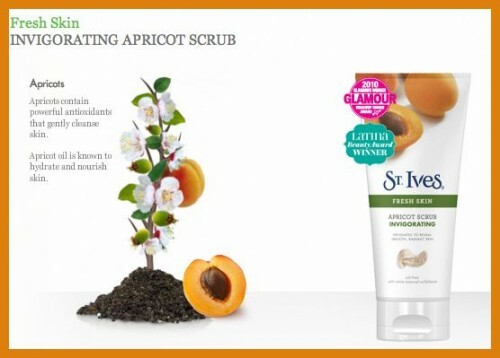 A friend once mentioned to me that St. Ives® Invigorating Apricot Scrub was perfect for shaving. Initially, this concept seemed absurd. Until I braved up and tried it! A-mazing. While removing pesky hairs from your legs, arms, etc. it proceeds to exfoliate leaving your skin exceptionally smooth. Don’t believe me? Try it. I’m offering this secret tip to all for trial – no room for error. It’s a win, win all the way around, cause guess what? It also keeps your razor from dulling so quickly. Try it and please let me know what you think. I am sure I will only receive positive feedback. 28 Apr ’11 Filed under A Few of My Favorite Things. Bookmark the permalink. Post a comment. Leave a Trackback (URL). I am def going to try shaving with this! I love it for my face, too.